Dubai, UAE, 10 April 2019: Fotowatio Renewable Ventures (FRV), part of Abdul Latif Jameel Energy and a global leader in the development of renewable energy projects, has announced that its latest project in Australia, the Lilyvale solar plant, is now up and running. Lilyvale is the second large-scale solar installation of FRV in Queensland. FRV signed a PPA with Ergon Energy Retail for the full plant capacity in January 2017. The project was financed in September 2017 with a group of banks comprising the Banking Group of Australia and New Zealand (ANZ), the Bank of Tokyo and Mitsubishi UFJ, Ltd (MUFG) and Sumitomo Mitsui Banking Corporation (SMBC). Fady Jameel, Deputy President and Vice Chairman of Abdul Latif Jameel, said: 'We are proud to announce this project milestone, and to be contributing to Australia’s drive for clean energy. Australia is a strong and promising market for FRV and Abdul Latif Jameel Energy, and we see significant potential to expand investment in the years ahead and spearhead the development of the sector in the country and further afield. 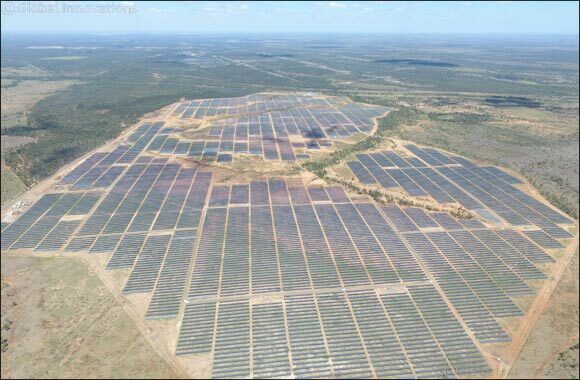 FRV has developed a total of six solar operating or committed projects in Australia with an accumulated investment of around USD 0.7 billion since 2012: Royalla (20 MW AC) in the Australian Capital Territory, Moree (56 MW AC) in New South Wales, Clare (100 MW AC) and Lilyvale (100MW AC) in Queensland, Goonumbla (67.8 MW AC) in New South Wales and Winton (85 MW AC) in Victoria.